Thirteen educators from around the country met in Amarillo, Texas, for the 3rd Nutrients for Life Teachers Retreat. These science and agriculture teachers met to discuss the desired path for future materials and programs for the Foundation. The teachers examined components of the Nutrients for Life resources and arrived at a ‘top ten’ list of priorities that will benefit teachers that teach soil science and plant nutrients. The list included the creation of digitized curriculum, posters, and, readers, an ambassador program, career videos, and professional development hours. 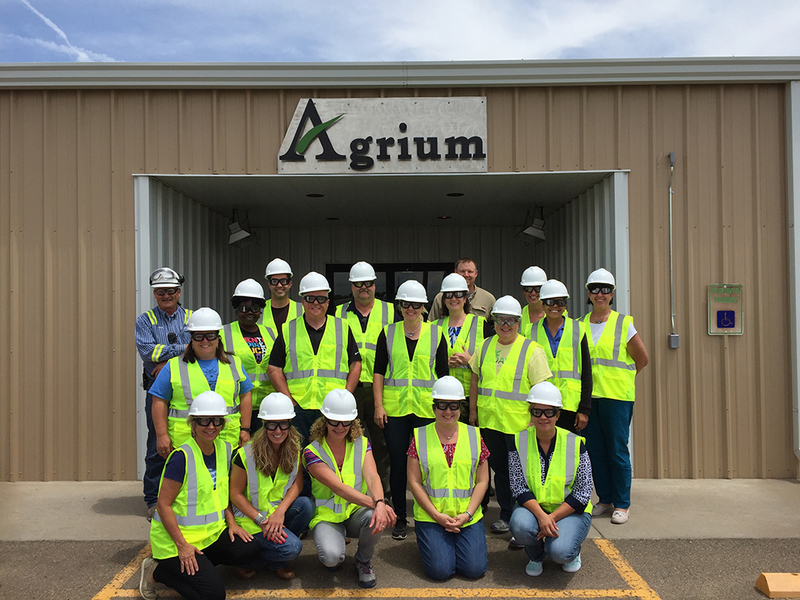 Thanks to Agrium US, the teachers were able to tour the newly expanded Borger nitrogen facility and learn how urea is made. Through this experience the teachers gained valuable insight into fertilizer production which they can bring back to their students so they can have a better understanding of farming and crop production. Stay tuned for upcoming changes and additions in the Foundation’s resources from new ideas at the meeting. Read the Press Release now!